A real estate open house sign in sheet doesn’t just give you a complete list of prospect that paid your properties a visit. It also includes contact information that you can use to collect feedback. The following are some of the best examples of the sign in sheets that you can download and use for open house real estate. With the cutthroat competition in the real estate market, you need to do the best you can to keep in touch with your target market all the time. Whether you are a real estate agent, an agency, or a corporate company in the same space, you should collect, store, and use your prospects’ contact information whenever necessary. This open house sign-in sheet is definitely a big deal. It allows you to collect name, phone number, and email address of the potential clients that come to view your property for the first time. The feedback column is also an important one because it allows you to understand the mind of a prospect without trying so hard. To stand out from the competitive real estate market, you need to do your best to keep in touch with existing customers as well as prospects. More often than not, agencies and brokers that keep in touch with their target often get good results from their property marketing campaigns. As you can imagine, frequent communication with customers and prospects enables you to collect as much contact information as possible, which are ideal for collecting feedback with ease. 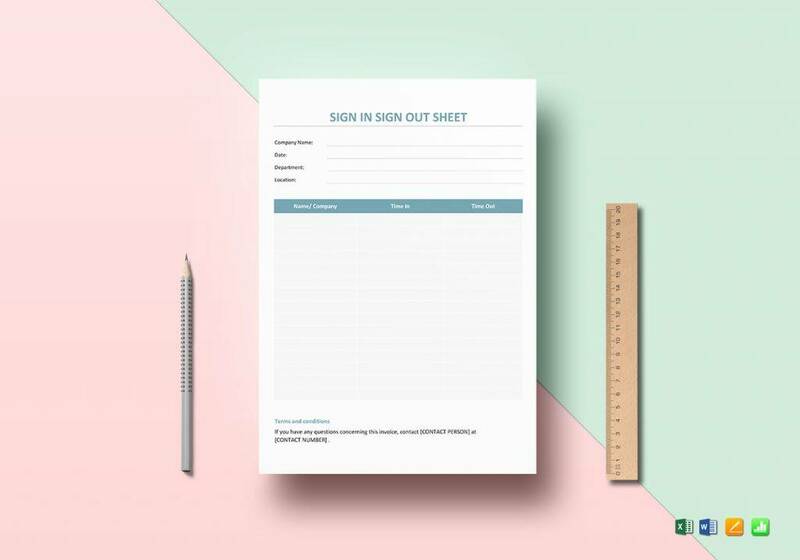 You can use this blank sign-in sheet to collect contact information from different prospects in real estate space. The template is available in Sheets, Word, Excel, and Pages. An open house sign-in sheet isn’t just a piece of paper. It’s an important document to add to your marketing arsenal. Although businesses don’t use them frequently, they play an important role in enabling enterprises to collect contact information from customers and prospects with ease. 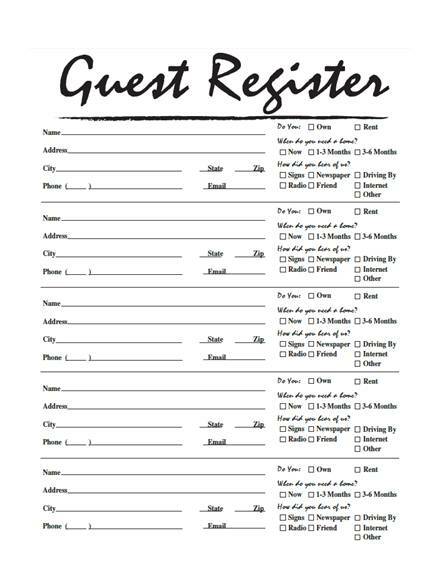 If you are in the real estate business, you can use this sign-in/sign-out sheet to collect contact information from existing customers as well as potential clients. This is a three-column business document, which one can easily edit in Sheets, Pages, Microsoft Word, or Microsoft Excel. Use the file to collect prospects’ name, their time, and their time out. 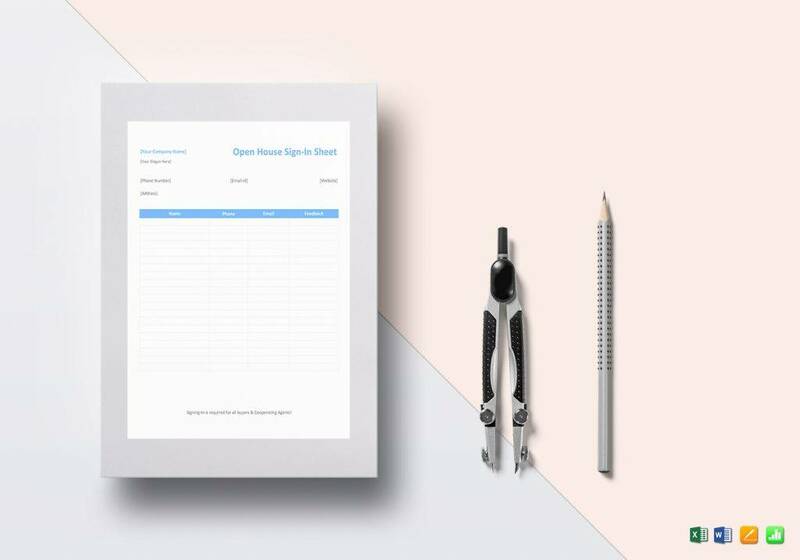 If you are a real estate agent in need of a simple open house sign in sheet document, then this sample template is for you. You will love this example because of its simplicity. And although the layout is as simple as it looks, this document serves its purpose quite well. It does not feature rows and columns like the three templates above. Rather, it features sign in sections separated by thick line breaks. This one-page document is print-ready. So, you can download, print, and use it straight out of the box. Use it to collect the most important contact information from your prospect. One of the best things about creating a sign-in sheet for a real estate business is that there is no one-size-fits-all format. The sheet you create depends on the information you would like to collect from your prospect. However, thinking about what to include and not include on the sheet can make the design process take a while. So, you can save a lot of time by using a custom designed template instead. 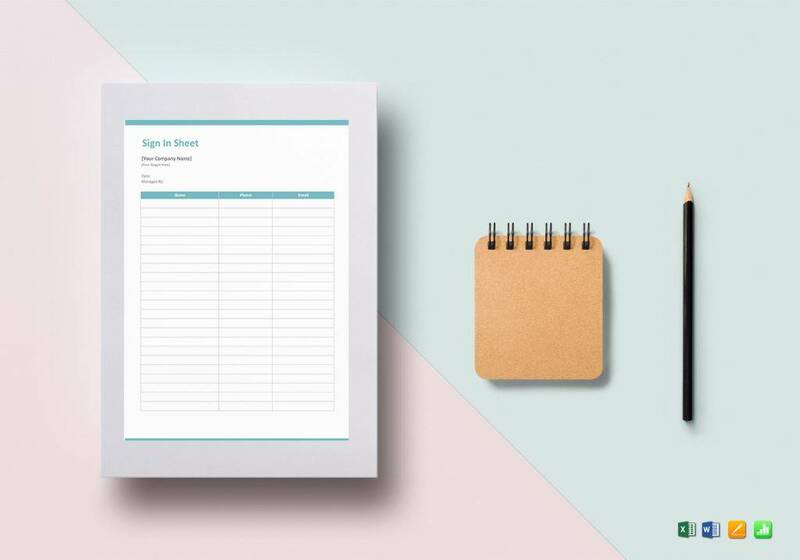 This PDF template is a very simple yet professional example that you can download and use straight out of the box. You can download it for free by clicking the download link above. There is more to this sign-in sheet than just the name, address, and contact information of a prospect. This is an advanced sheet. Primarily, it allows you to collect a lot more information from a potential client. The information you collect will enable you to determine whether your prospect owns a home or lives in a rented apartment. Also, the sheet lets you in on a prospect’s plan to own a home by letting you know exactly when they are likely to buy. Another important benefit of this sign in sheet is that it lets you know where your prospect heard about you. This can give you some insight into the performance of your real estate marketing strategy. 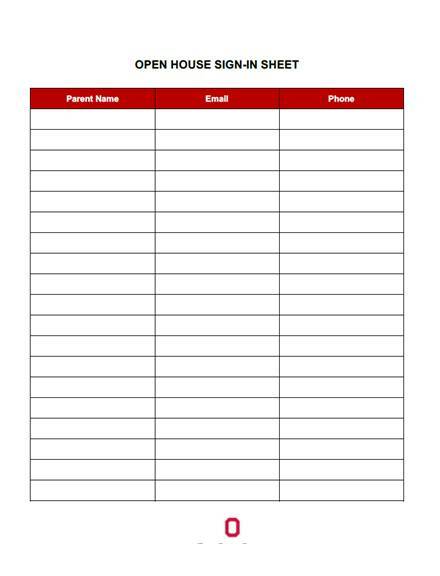 If you are looking for an open house sign-in sheet that allows you to collect more than just name, address, and phone number of your prospect, you should consider this example. The 4-page document lets you dig deeper into the mind of your target audience. And, the information you collect at the end of the day can help you to determine the best real estate property for them. This example lets you in on your prospect’s real estate needs, which means that, in the end, it becomes easier for you to know the exact kind of home they are looking forward to buying or leasing. 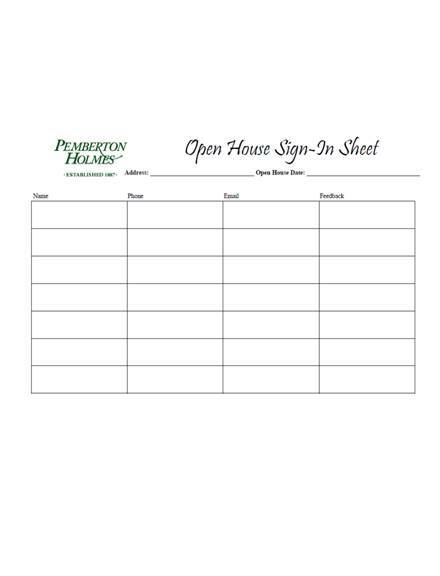 This is a very simple open house sign in sheet template. It is a good option for real estate agents, real estate agencies, and corporate companies that would like to collect contact information from potential customers. The three-column, one-page document lets you collect name, email, and phone numbers. 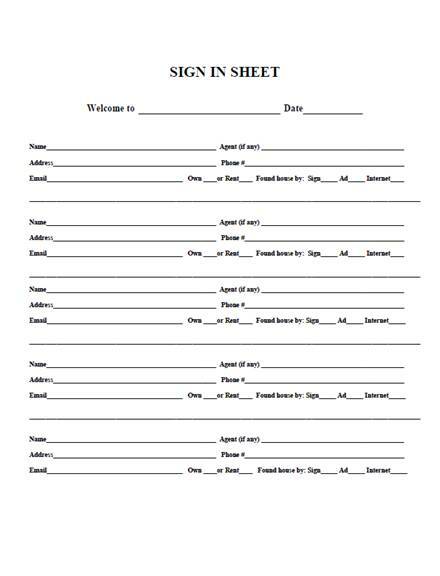 Here is a multi-purpose sign-in sheet that you can download and use for your real estate business. 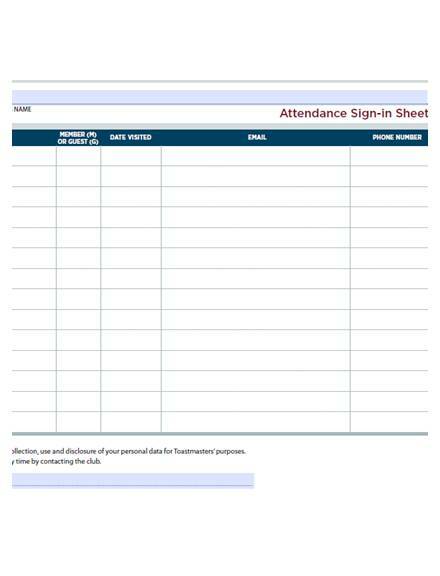 With this one-page, 5-column sign-in sheet document, you can collect name, email, membership, phone number, and the email address of the clients in question. 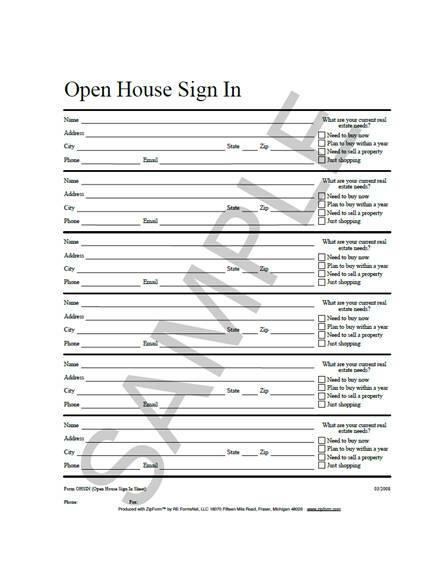 Use this sample open house sign-in sheet to know more about your potential clients. It is a ready to use template, which you can download, print and use straight out of the box.